Let's be honest - any month is the perfect month for reading. But we like coming up with extra reasons why you should be reading more books RIGHT NOW. So here is why we think January is totally the best month for reading. 1. All those books you got for Christmas. It would be rude not to read them as soon as possible. So rude. They were gifts and you're not rude, are you? 2. The weather is terrible. If you go outside you'll have to deal with wind and cold and people poking you in the cheek with their gigantic umbrellas. It makes far more sense to just stay inside. With a book. And a brew. Under some sort of blanket. 3. You're a bit skint. After the excesses of the festive season it's time to tighten the purse strings. You can't afford to gallivant off around town. The FRUGAL AND RESPONSIBLE CHOICE would be to simply stay in with a book. And if you can't afford new books, guess what, the motherfuckin' library has them for free. 4. Start this year off in the right way. January is the perfect time to set a good example to yourself about the kind of person you want to be this year. Sod the new diet, dry January, the empty promises to stop biting your nails. Resolve to read more books. A noble resolution, we think. 5. Post Christmas Blues. Back to work, back to reality, no more brazenly eating mince pies and quality street for breakfast. No wonder January can sometimes feel a bit sucky. But guess what? Books! Books cheer you up. Drop yourself into an exciting new story, get to know a wonderful new set of literary friends and those mince pies will be but a distant memory. 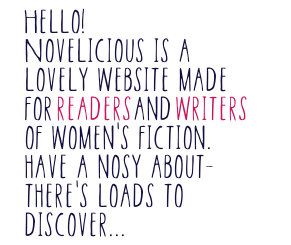 The Truth About 'Women's Fiction'? Do you feel defined by the books you read – or write? I don’t – but plenty of people think I should do. I’ve lost count of the times I’ve heard or read negative views about women’s fiction or, worse still, ‘chick lit’: that those who read it must be dumbed down, maybe even slightly stupid. As for the authors... at best, they’re cynical Cartland-esque clones, seeking a quick buck. Last year, the headlines that greeted a decline in sales for all fiction – but especially the pastel-coloured kind – took the chance to stick the stiletto in once again. ‘What women don’t want’ and ‘the death of chick lit’ were typical. As someone who loves reading, and writes books that are marketed as women’s fiction, I saw red. Or should that be pink? I decided to go beyond the headlines, and ask readers what they thought. Over three hundred readers – 90% of them female – responded to a survey I posted on my website and promoted across the web. They told me how many books they read a month (from less than ½ to 20+), where and why they bought them. But for me, the most fascinating responses came when I asked readers to list their favourite books from the last few years. Very few readers restricted themselves to one genre. The stereotype of a woman existing on a literary diet of only romantic comedy or Mills & Boon was just that – something I found in few responses. Even those women who did express a preference for the most escapist fiction, were very discerning – they didn’t simply pocket a book because it was marketed as chick lit.